It is difficult for an untrained eye to tell the difference between coyote and fox when they come across one. The two appear to be fairly similar in terms of appearance and there for one can be confused with the other. However, if you know exactly what to look for, then you can tell the difference between a coyote and a fox from a distance. 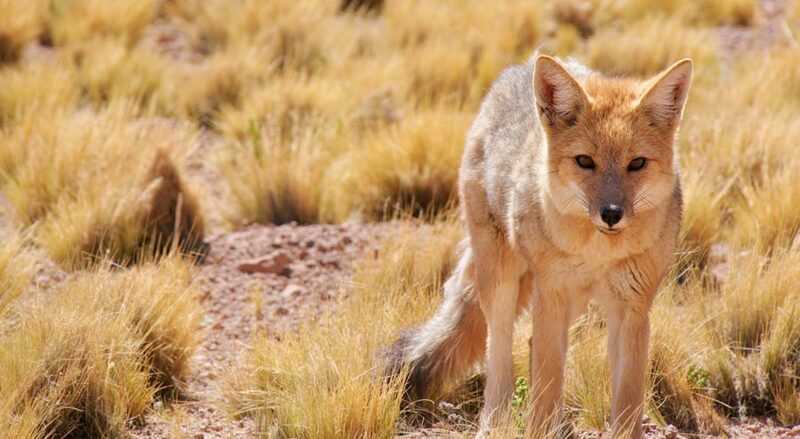 The following tips will allow you to differentiate whether you encounter a fox or coyote. 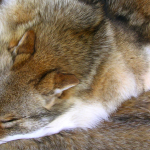 Fur color, the fur color of a coyote is generally darker in tone and has a gray color. The lower, belly part gets lighter in color. They are bulkier than fox. The tail when a coyote runs hangs down. The tail also is short and usually has a dark tip. You will find different types of foxes in the US, the two main ones are the gray fox and the red fox. It is much easier to tell a red fox from a coyote than it is a grey one. We have characteristics of both for you. The fur is red-tan colored, you won’t really find coyotes with the same colored fur. The lower legs are black as if they wear black stockings. 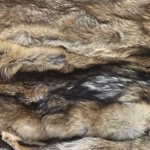 Fur color is grey, more like a coyote, but they are gray throughout. Blacktip on the tail and they also have a black stripe on their tail. The lower legs are completely gray, no black like with the red fox. It is much harder to tell a gray fox from a coyote. If you just go by their face, then it is nearly impossible as the two look very similar. However, the size and the tail should also you to determine whether you have come across a fox or a coyote. Failure is a part of hunting. Especially when it comes to hunting coyotes, one of the most clever animals in the wild. They just have a way and can easily sense danger so they are generally harder to hunt. But being clever doesn’t mean they are impossible to hunt. With so many coyotes out in the wild, you would think hunting them is a piece of cake. It can be if you have the right strategy, follow our tips to baiting coyotes and you will have a better time on your hunt. How impactful your baiting strategy depends a lot on the bait itself. One of the best bait for coyotes is road kill, however, harvesting roadkill is not allowed in a lot of states. So you can use meat as a substitute which works well also. To set the bait, you sort of need to be familiar with locations where the coyotes are spotted. It is important to figure these places cause they will make baiting more effective. In order to figure this out, you want to keep your eyes open for coyote tracks. Placing the bait in area where coyote track is present is a great start, as coyotes generally return to places they have already been. If you find carcass on the trial then the stop is even better cause it will attract the coyote even more. The bait should be placed upwind to the animal’s track. This allows the smell of the meat to travel to the coyote rather than go the other way. Attracting the coyote at a much quicker rate. If done properly, you should have coyotes coming out in given time. Don’t be hastily to change the position of your bait, give it some time. It takes time for the smell to travel and coyotes to come out. You will need to be a little patient with it. If you decide to constantly change the position of the bait then chances are you won’t attract any coyotes. Hunting in the dark is as hard as it is. Trying to make your way and find a coyote to hunt without the sunlight isn’t easy. Luckily, you can use light, however, if you have hunted you know you can’t take your ordinary flashlight to hunt. You need a nightlight and no, not the one you use in a room. There are night sights that are designed specifically to help you hunt and numerous different ones. We have picked out hunting lights that will help you on your hunt. The Orion Predator H30 comes in two options, you can get it in a red or green light. It is durable and waterproof so you can stick it on your gun and practically forget about it. The range of the light is quite strong, it can reach up to 273 yards. You can also set the brightness to your liking, it has four different settings for it. The light comes with rail, scope, and barrel mounts so you can easily fit it on practically any hunting gun. 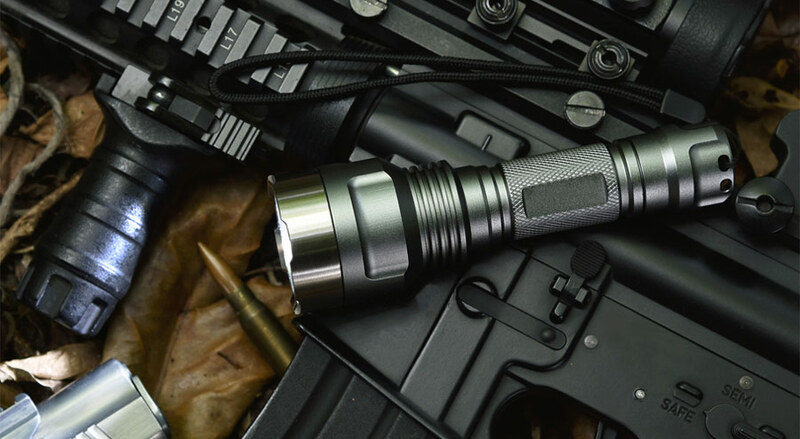 The range, durability, and ease of use make this one of the better hunting lights in the market. 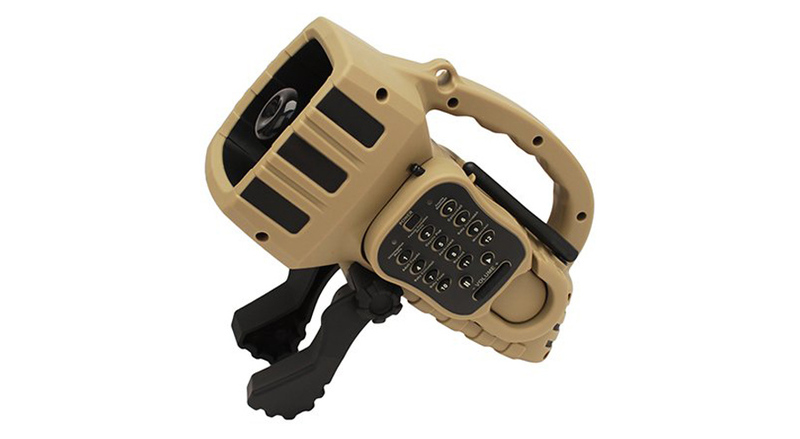 The Predator Tactics Coyote Light Kit is a powerful light that will make hunting at night a lot easier. 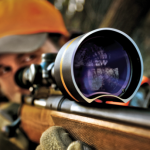 With a light that has a range of up to 325 yards, identifying your hunt is so much easier. You can also widen or narrow the beam of the light which allows you to see more or focus on what you want. You have the option to choose between three different LED: red, white and green. It also comes with different types of mounts so you can fit it on to your favorite rifle or gun. 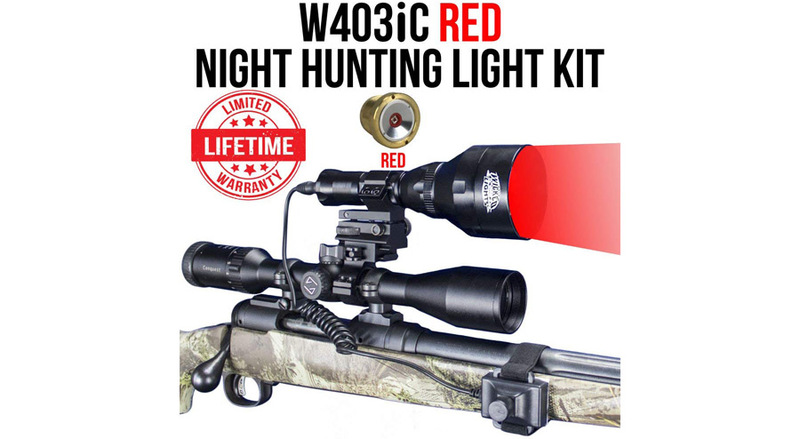 The Wicked Lights W403IC Red Night Hunting Kit is another light that has an amazing range, allowing you to hunt from a distance even at night. The light can allow you to see up to 300 yards away. It also has a zoom focus that allows you to narrow it down to target your kill with precision. The kit comes with red light, but you can change it for white or green. You also get all the items you would need to mount it on to your hunting weapon. The Odepro KL52Plus Hunting Flashlight comes in four interchangeable colors along with the red, green and white light you also get an IR850nm light so you can easily find your hunt at night. The light comes with an adjustable focus so you can zoom and focus on your hunt or keep a wider light when you are scanning the field. You can mount the flashlight to your gun or use it as an ordinary flashlight. Hunting at night is a different game altogether when comparing it to the day. The situation is completely different than that of the day. You need to prepare a bit more for night hunting than you would for the day. That is why most hunters usually prefer hunting during the day. Hunting at night is a lot tougher, most experienced hunters opt for night hunting. For those that want to make hunting a little more challenge and hunt at night, we have some tips. Driving around and navigating through the ground is hard enough without light. The last thing you want is not be aware of the ground or have your hunting ground already scouted. You should probably go out during the day and scout the grounds so you know exactly where you can set your camp at night to hunt. Looking for hunt ground at night will not only be difficult but you will also drive away a lot of your prey by driving around with your headlights on for hours. So map out exactly where your hunting location will be and go there when you are ready to start. Try not to move around too much in your vehicle after that. One thing that does get easier at night is using game calls. There is less interference at night, the wind is calmer so you will get exceptional projection of the call. But that doesn’t mean you blast the call at its highest volume. You want to keep it at a lower level and play distress sounds. Coyotes are active at night so they are more likely to respond to distress sounds. Being a hunter, you should already know that you can’t use your basic flashlight to hunt. Within the hunting community there is a huge debate whether red or green LED light is better for hunting. 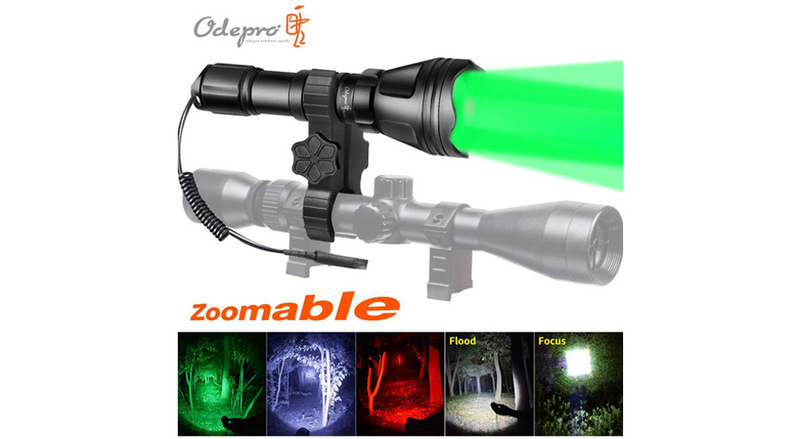 Both work effectively well and you find numerous different hunting light that has the two colors along with others interchangeable. Which one should you opt for? Well, this completely depends on you preference. Red really allows the eyes of the coyotes to pop out, more than green. However, green is just more popular with hunters. As long as you don’t use a flashlight and get a hunting light, you should be good. When using the night light, you want to scan the ground rapidly. Don’t just focus on one area, keep scanning. You shouldn’t expect to catch the animal, full body, just look to capture their eyes and look for it’s reflection. The fact that you shine your light in their eyes will make their vision slightly dull for a bit which gives you plenty time to hunt it. If you have used electronic coyote calls, then you probably know that most of them in the market are just gimmicks. You won’t find many that actually get the job done. But that shouldn’t turn you away from using electronic coyote calls. Once you find one that actually works, you can drastically improve your hunting trips. To make your hunt for a reliable electronic coyote call, we have a list of them you can choose from. You can rest assured that these will be beneficial for your hunting trip. 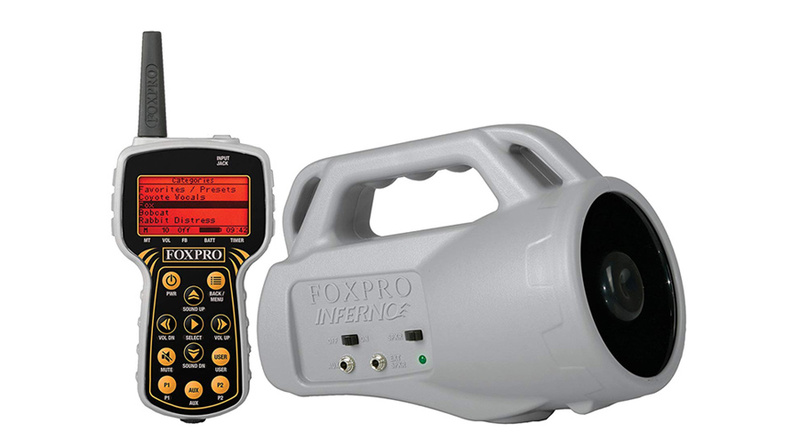 The FOXPRO Inferno is one of the most versatile electronic coyotes calls you will find. 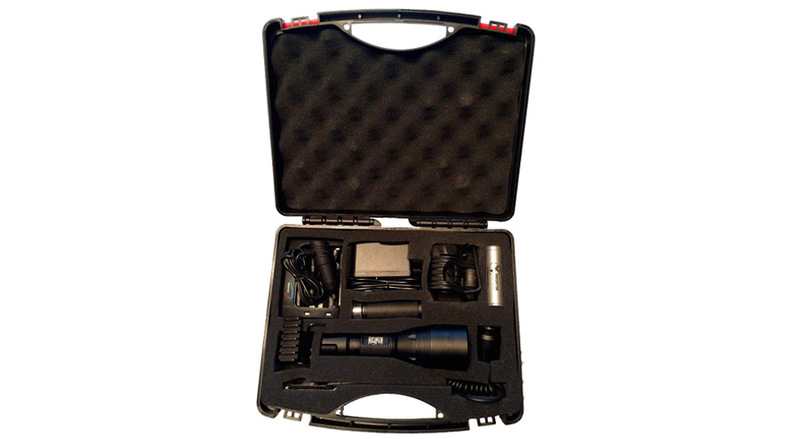 It comes with 75 sounds and gives you the opportunity to store up to 200 sounds. It also comes with an LED remote that lets you control the device from a range. The volume of the call is quite loud which is something you would expect from much higher-end products. Which is exactly why the FOXPRO Inferno is the perfect choice for anyone going hunting for coyotes. The ICOtec GC300 is a durable, loud, and easy to operate game call at a reasonable price. 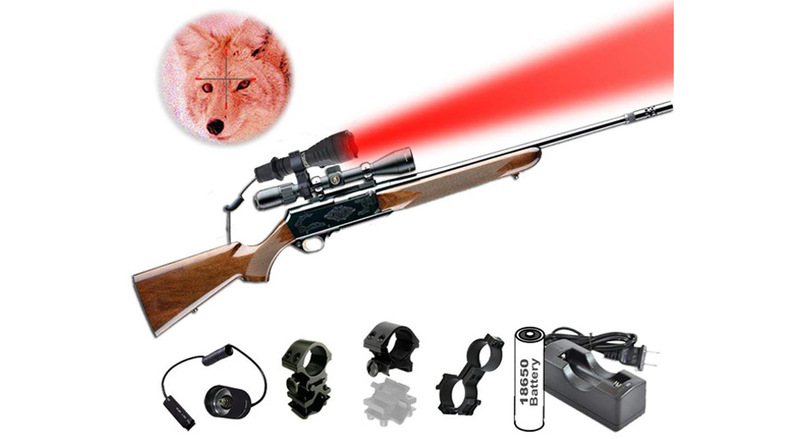 It is a perfect tool to take with you as you hunt for predators. It automatically plays the call, 30 seconds after it is done playing. The remote isn’t as fancy as the FOXPRO Inferno’s but allows you to control the game call from up to 300 yards away. It is fairly loud too for its price range. The design of the game call is also very portable and it comes with a handle so you can easily carry it around with you on the hunt. 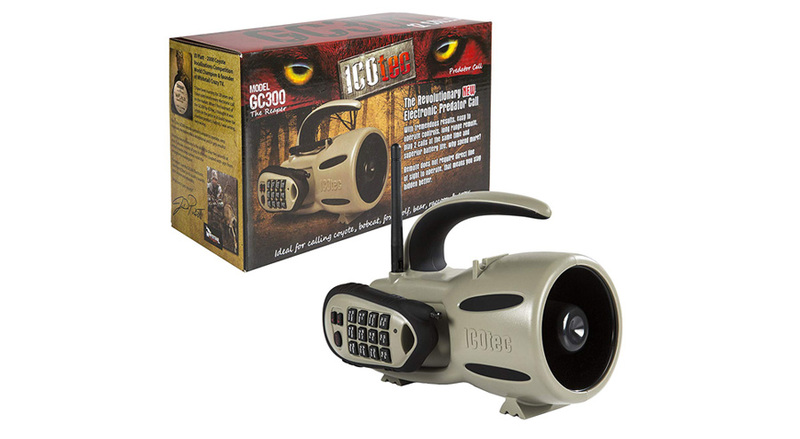 Portability and great features are why the ICOtec GC300 is on our list. Another reasonably priced predator call, the power and loudness is something you will be impressed with this one. If you have been in the hunting game, you would be familiar with Randy Anderson. 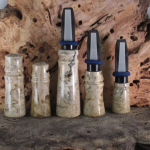 The predator call features a dozen calls that were prepared by him. So you know the calls will get you results. You can also play two sounds simultaneously which gives you a bit more versatility. Overall, the predator call is reliable, portable and easy to use making it a great choice. 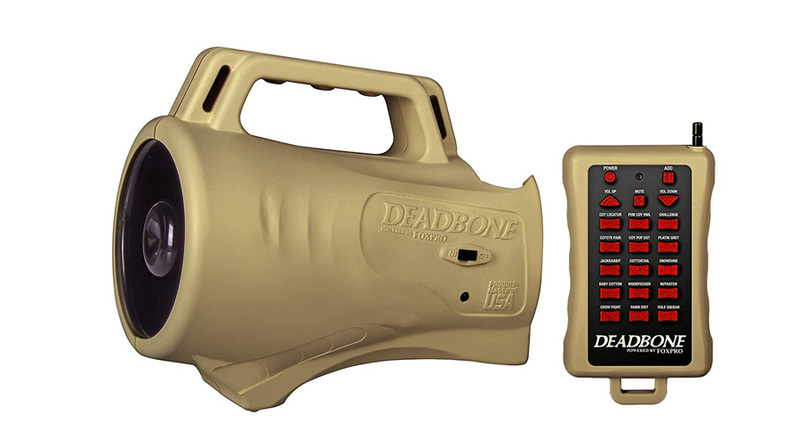 FOXPRO Deadbone Electronic Game Call is not as versatile as the Inferno. However, it does work well as a predator call. It comes with 15 quality sounds, unfortunately, you are stuck with these. You have the option to play two sounds simultaneously and the horn speaker is highly efficient. It also comes with a remote which makes controlling it much easier. The overall design won’t blow you away but the game call will get the job done in luring more predators. Most hunters are aware that if they want to be successful, they must know how to pattern the animal they are hunting. By doing this, they learn the tendencies of the animal, allowing them to know when to strike and kill them. 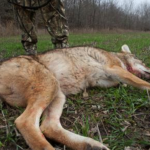 We have tips for you that will help you pattern coyotes and allow you to get more out of your hunting trip. When it comes to understanding any type of pattern, the first thing you need to do is scout the hunting grounds. You can approach this in two ways, go out in the wild and scout yourself or ask locals where coyotes are mostly sighted. Once scouting the area, you need to pay close attention to the noise. Coyotes are vocal animals and you can usually hear them in the night. Coyotes are nocturnal so you will usually spot them at night timing. However, that is not always the case. Come winter time, coyotes are more vocal during mid-morning hours. Hunting coyotes can be a bit easier in the fall season. This is the time when male cubs leave their family to go out on their own. They are more naive and easier to call. They aren’t as wary of humans and can easily be attracted and hunted. When do coyotes become reclusive? Usually when the hunting ground is swarming with hunters. Late fall and early winter, most hunting grounds have hunters swarming for numerous different animal. During this time, coyotes become reclusive especially in areas where more hunters are camped. If you must hunt during this time then be sure to find an area which is away from the concentration of hunters. This will increase the chances of you coming across coyotes. Coyotes generally breed between February and April, this may vary depending on the location. This is when their predator senses are at a high. They patrol the territory making sure nothing breeches their territory. You can use this time to hunt them because there is an increase of chances of intercepting a coyote while they are out guarding their territory. As coyote hunting becomes more and more popular, hunters have adopted numerous different tricks to hunt. 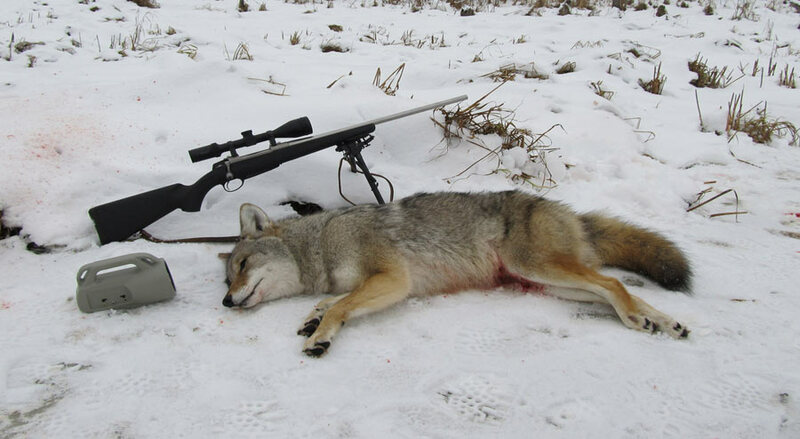 In the past 20 years, coyote hunting has become a favorite pastime for hunters. The fact that the population of the predator is on the rise in the US, hunting of it has become legalized with the right license. However, hunting the predator isn’t easy because it is one of the more clever animals in the wild. You won’t find an actual radar that can help you hunt coyotes but can easily make one yourself when you are on the hunt. All you have to do is lure them with bait and use coyote calling while knowing the area where you are hunting and you can have the best radar for hunting coyotes. We have tips that will help you develop the best radar for your hunt. There are two methods for calling coyotes, manual with the use of your hand and automatic calls which are electronic. No matter which calls you to decide to use, you need to practice. Hand call is much tougher since you need to learn how to do it rather than use a machine. So during the hunt, try different calls either ways and see which works best. vantage point for you, so you want the terrain to be a little high, maybe a hill. You want to go prepared with the right weapons to hunt coyotes. You may want a different approach each day, so you can take rifle and shotgun which are both very effective against coyotes. Coyotes have an exceptional sense of smell. So you want to make sure of two things, the bait you use is smelly so it attracts them and you are positioned in such a way that the wind doesn’t take your smell to the area of the bait. 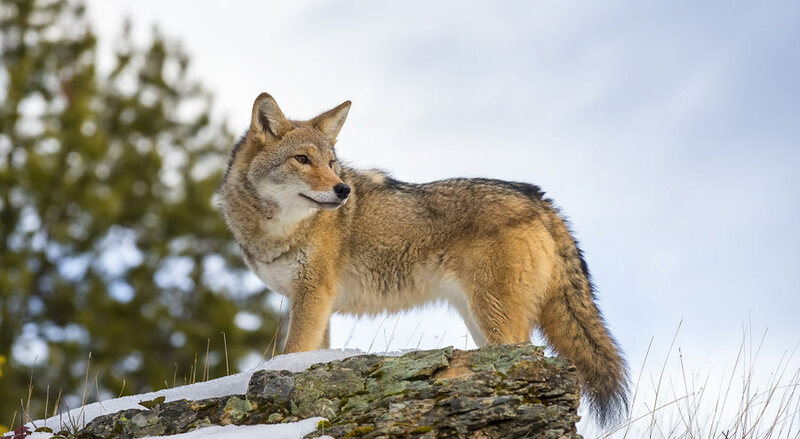 The bait smell will attract the coyote and this way they won’t be able to detect your smell, which would prompt them to wait until they approach the bait. While you won’t find a radar that can actually point out coyotes, you can form your own radar that will help you become more successful on your hunt. The Canis Latrans is the species name for coyotes. They are found in various parts of North America and can be found on almost any terrain from grasslands to deserts. Since they are classified as Canis, they are from the dog family. 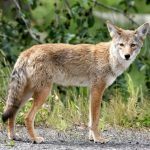 We have an overview and some facts about coyotes that will help you develop a better understanding of the animal. 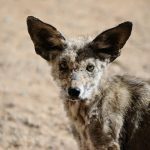 Belonging to the dog family, the coyote has a resembles the dog. However, you can easily differentiate a coyote from a dog. They are, however, much harder to differentiate from wolves. Coyotes, generally have grayish-brown fur which is white on the belly and under the neck. Their tails are bushy and they share similar traits to the dog. 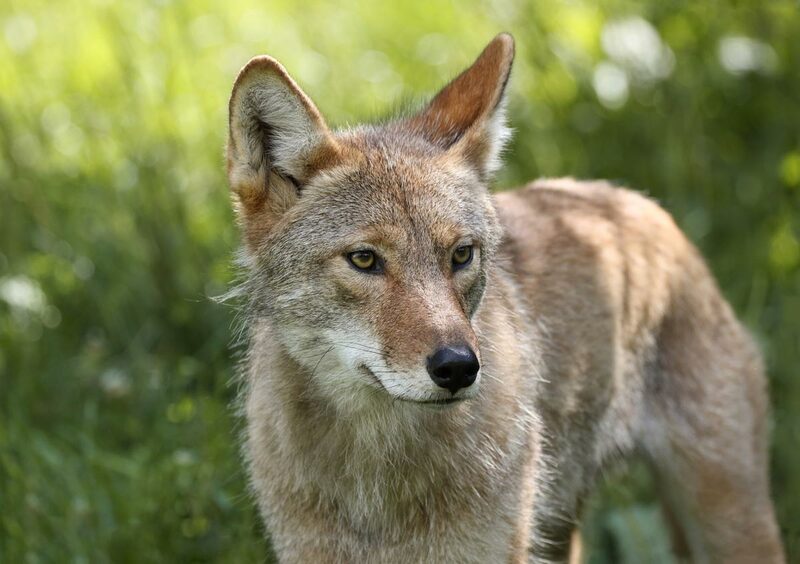 The animal isn’t large, the average coyote weighs between 15-25 pounds and grows to be about 35-40 inches. The mating season for coyotes is between February and April. The female can birth to 3-12 pups at a time. The pups stay with the family and are looked after by the parents. However, the male pups end up leaving the family 6 months after the birth, once they are old enough to be on their own. The average lifespan for a coyote is from 10-14 years in the wild. – Unlike wolves, who usually always hunt in a pack, coyotes don’t always hunt in a pack and can hunt on their own also. However, they do usually travel in the pack also. – Coyotes tails stay down as they run as opposed to dogs which run with their tails up. – Coyotes are vocal, they communicate with their pack especially in the night. – They are nocturnal animals. – While coyotes are predators themselves, they also have a few predators that hunt them down like bears, wolves, and mountain lions. – Coyotes have a longer lifespan in captivity with an average of 20 years. – They have an appetite for almost anything, so they can eat anything they find. – They have great sensory when it comes to sight and smell. – They can run up to 40 miles per hour. – Their pups are born blind. – Coyotes are monogamous creatures, they usually have only one mate their whole life. – They are carnivorous but their diet also consists of berries and fruits. Coyotes can be found all over US and Canada while they can also be found in parts of Mexico. 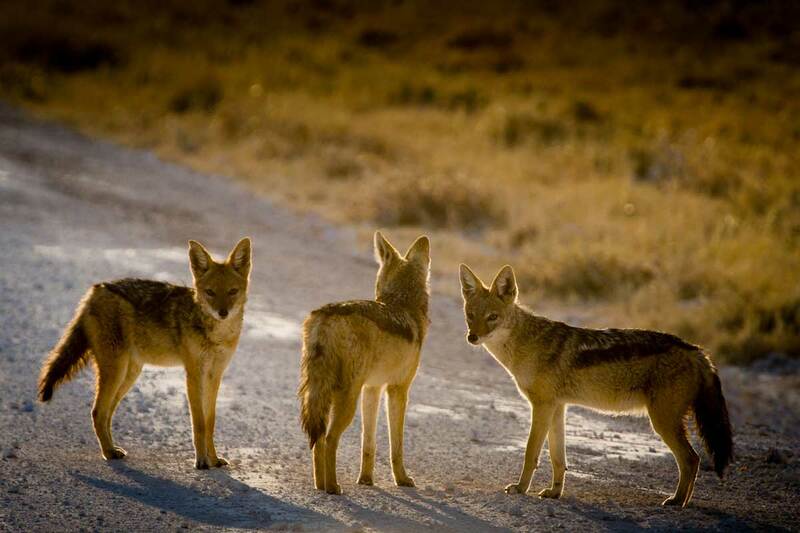 Even with the urbanization, coyotes population in the region is on the rise. They have adapted well the urbanization and at times can even be spotted in the city. Their natural habitat, however, is deserts, forests, and grasslands. Alaska wasn’t always known as a hunting ground for coyotes. After all, the coyote is a fairly newcomer to the land, as it was first noted in the state in the early 20th century and not before that. Initially discovered in the Southeast region, the predator’s population grew to the northern areas also. This was during the 1940s when there was a peak in population, you can generally find coyotes all over Alaska except the most northern areas. However, the most densely populated areas are Matanuska, Kenai Peninsula, Sustina valleys, and the Copper River Valley. 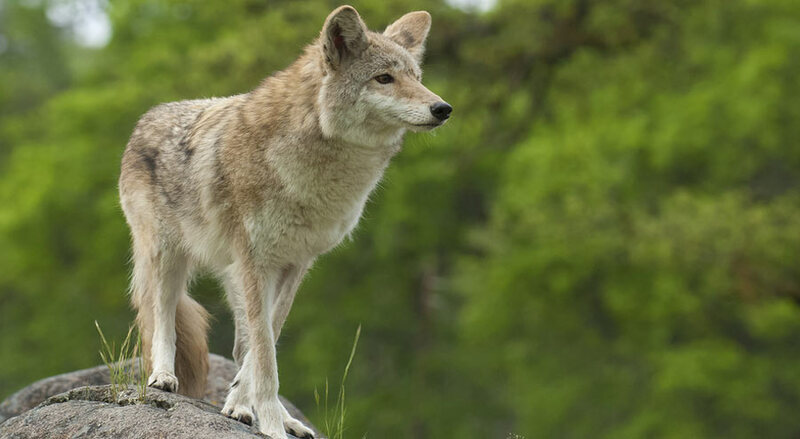 Coyote is one predator that has been able to strive in mainland US through the years. Alaska is a similar case as they have been able to easily adapt to the environment. So how does hunting coyote go in Alaska, we have some answers to questions you may have. Is there any set season set for hunting coyotes? 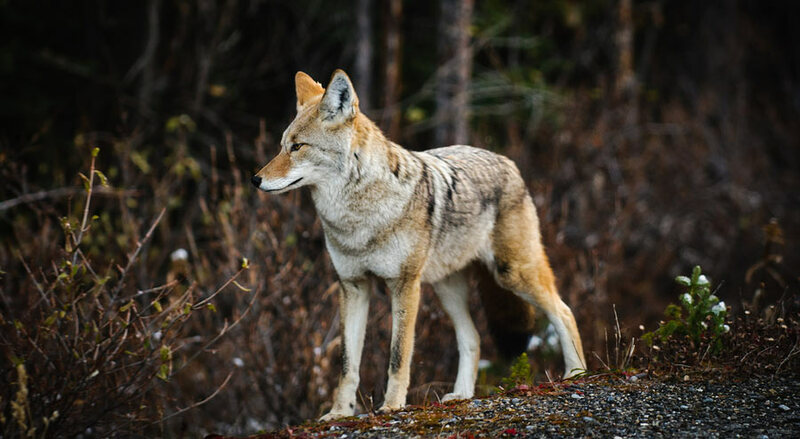 In Alaska, you are generally allowed to hunt coyotes from September 1st to April 30th in certain areas. While other areas you can hunt year round. Can you hunt without a license? 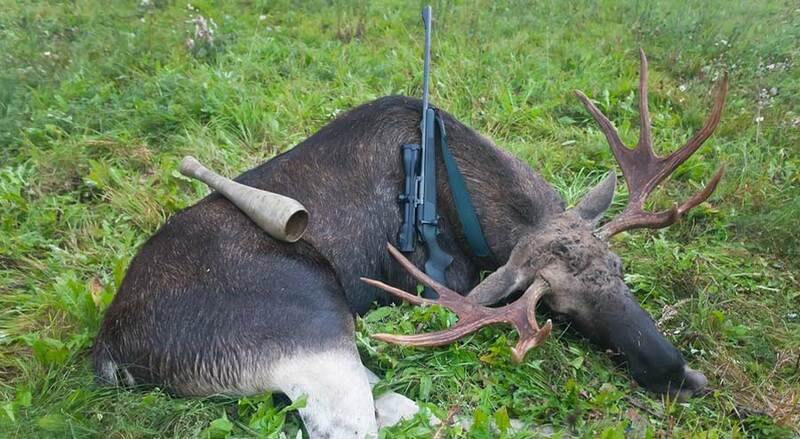 Yes, if you are planning on hunting in Alaska then you are required to have a hunting license. Same goes for trapping coyotes, you need a trapping license to do so. Is there a limit of coyotes I can hunt? This again depends on the region of Alaska you are hunting in. It’s divided into two regions and the first allows for you to bag only 2 coyotes while the second has no limits. So does it make sense to go out to Alaska to hunt coyotes? Well, the experience in Alaska is a lot different than mainland US. The terrain is different and hunting coyotes can be fun. If you are looking for a different experience of hunting then we highly recommend going to Alaska for coyote hunting. The state has a fairly good population of coyotes and you also get a trip out of the whole experience. There is a great debate in the hunting community between those that hunt for trophy versus those that do it for meat. Most people ridicule trophy hunters for killing for their amusement and pride. So we look at the reason why people hunt for a trophy and how it may be different than meat hunting. Why hunt for a trophy? When it comes to trophy hunting, the hunters are more selective. They generally do not just go out and hunt the first buck they spot, unless it is big. They usually wait for the twelve-point deer over a two-point deer because it will definitely look better on their wall. While they do this for their entertainment and somewhat for their pride, all trophy hunters to pay a fee to hunt and additional for trophy fees. The money paid is put towards conservation and education about animals. Most meat hunters you find will hunt pretty much anything that comes in front of them, as long as it looks like it has meat that can be used. They don’t do it for fame or anything but of course when it comes to hunting, even meat hunters prefer to hunt bigger animals than smaller ones. The reason for that is due to the animal having more meat than smaller ones. While they don’t usually take home the head of the deer to put on a trophy they also look for stronger animals to hunt, which doesn’t make them too different than trophy hunters. Whether hunters go out to hunt for trophy or meat, the result is pretty much the same. One may be doing it for their own amusement while the other may be doing it for meat. Either way, it results in a kill. It is important that rather than debate which style of hunting is more ethical, the two sides should come together because the result is pretty much the same in either case. The two types of hunter already face a lot of backlash on various forums both online and offline the last thing they need is to go against each other.